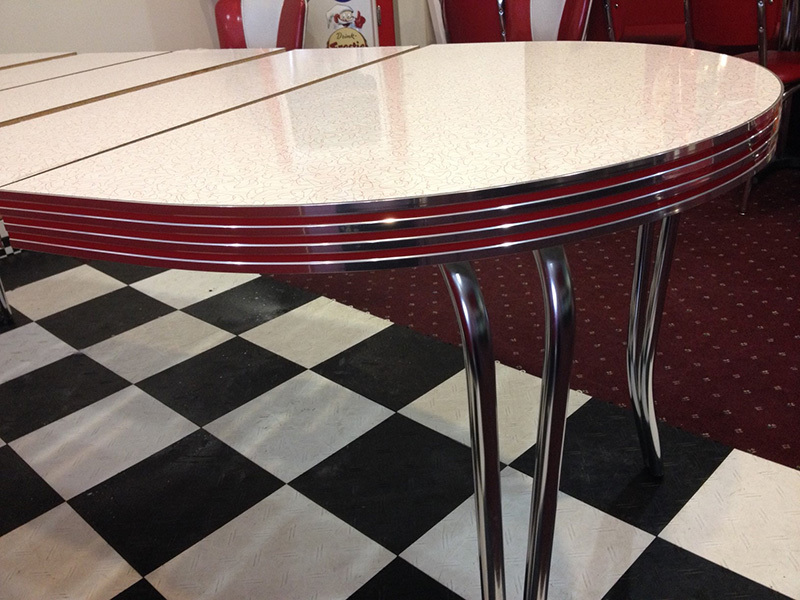 Everybody wanted one, but no one was Retro Leaf Tables! 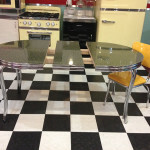 We are proud to add this exclusive line of signature retro kitchen leaf tables to our custom line. 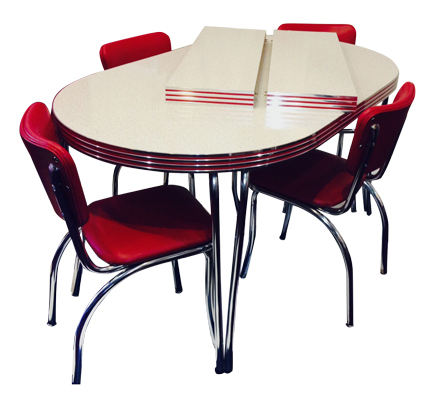 The dining table’s design is based upon the originals of yesteryear, but fabricated with today’s newest and highest quality materials. 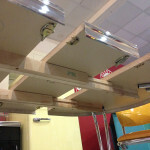 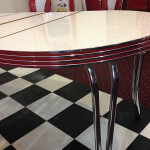 We offer one, two or three leaf tables in a variety of sizes and in an endless selection of laminates. 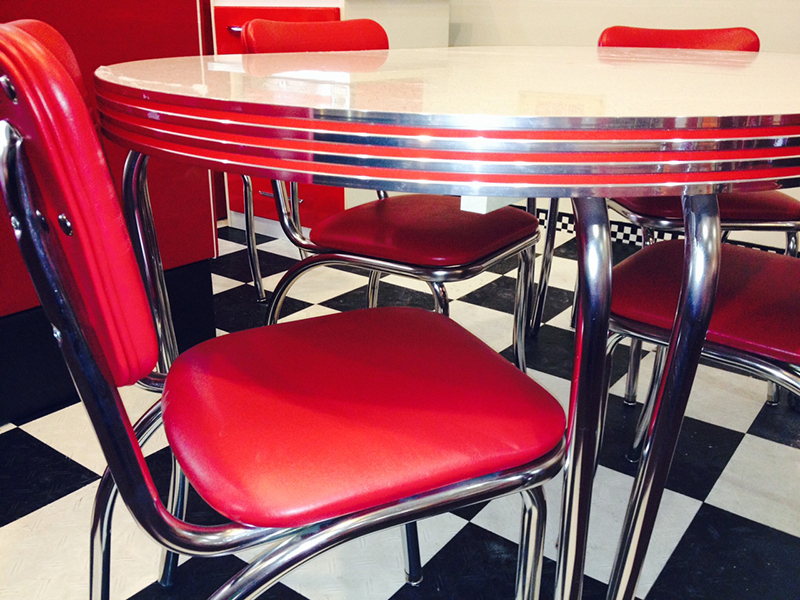 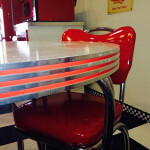 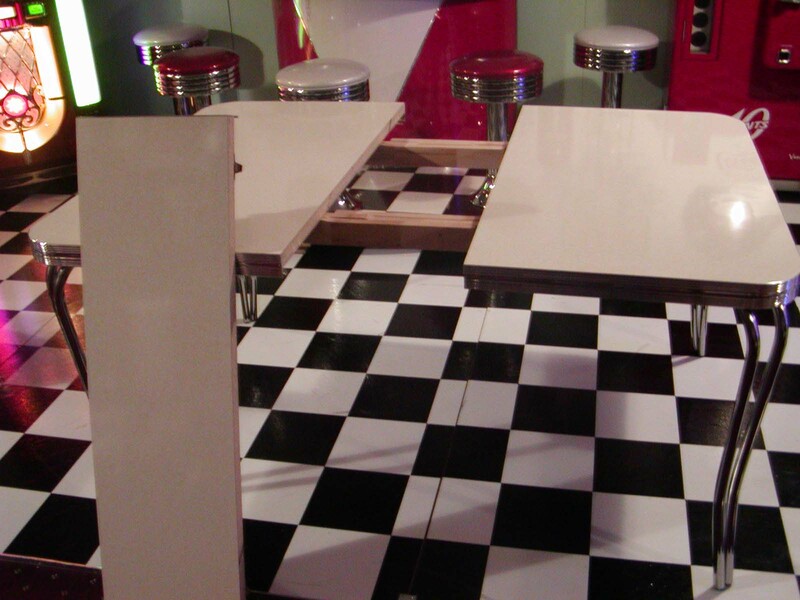 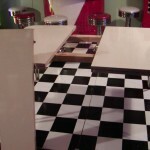 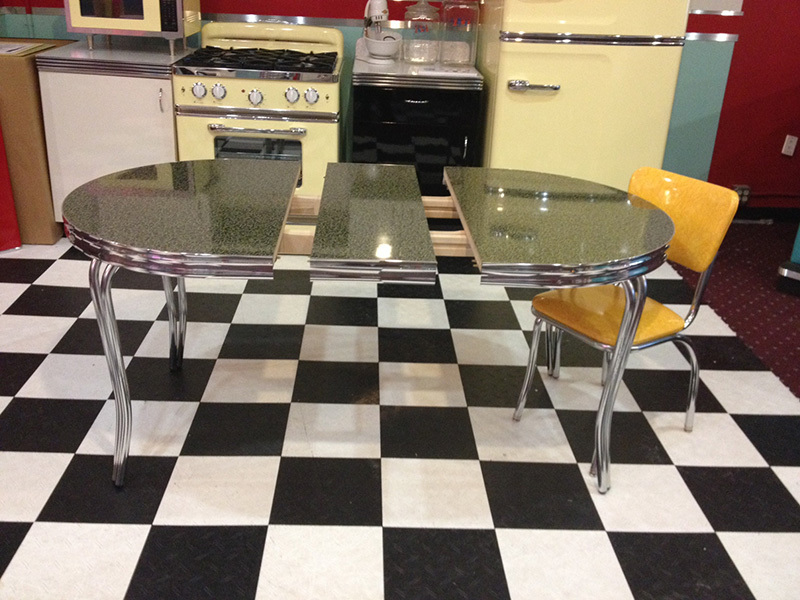 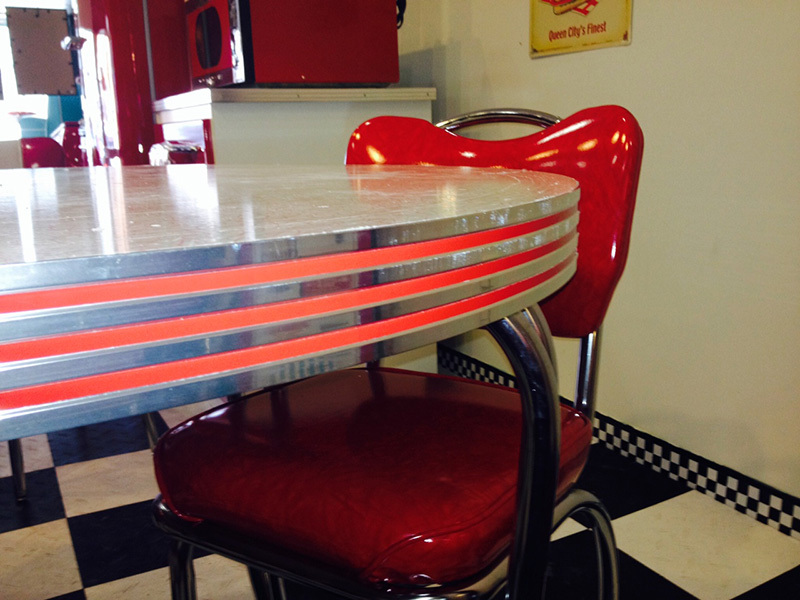 Paired with single or double pole retro chrome legs, your selection of retro diner chairs, and the look is complete! 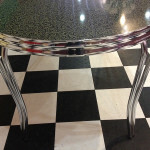 Take a look at our laminate selections and choose from our custom made Boomerang Laminate, Cracked Ice Laminate, our stock Standard Laminate, or any laminate offered by the major laminate manufacturers. 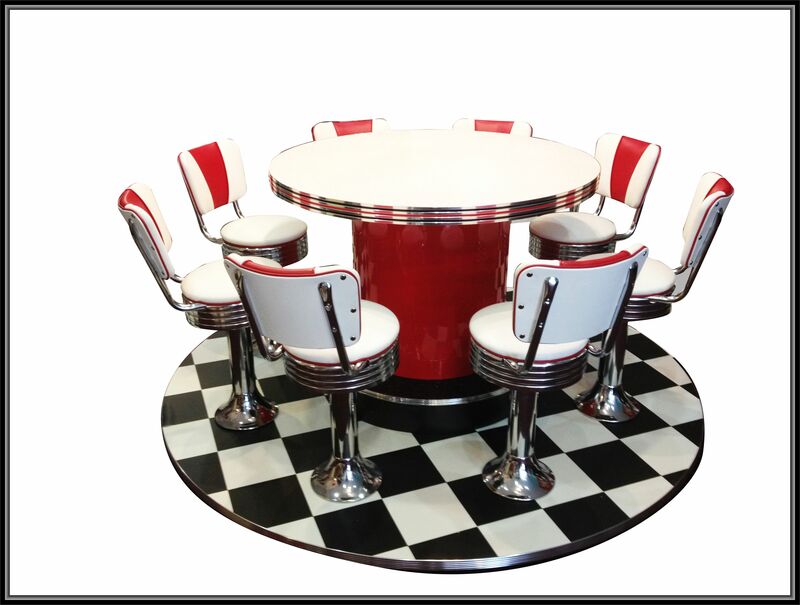 Our leaf tables are banded in 2 1/4″ metal banding or our very own 3 inch Groovy Insert Banding (with matching inserts) which adds an extra special retro finish to further customize your selection. 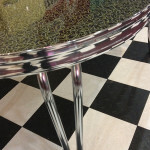 See our metal banding page for more detail on the “Groovy”. 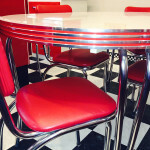 Coordinate your table with chairs from our retro line and you’ve got a fabulous 50’s leaf table… with 21st century style! 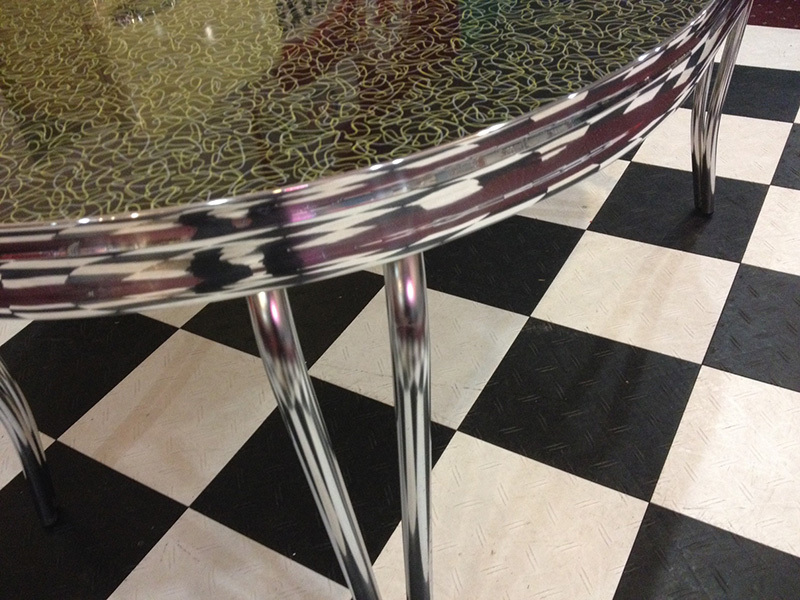 Call us today to get started building your own Custom Leaf Table! 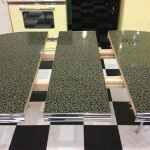 Please allow 4-6 weeks for production. 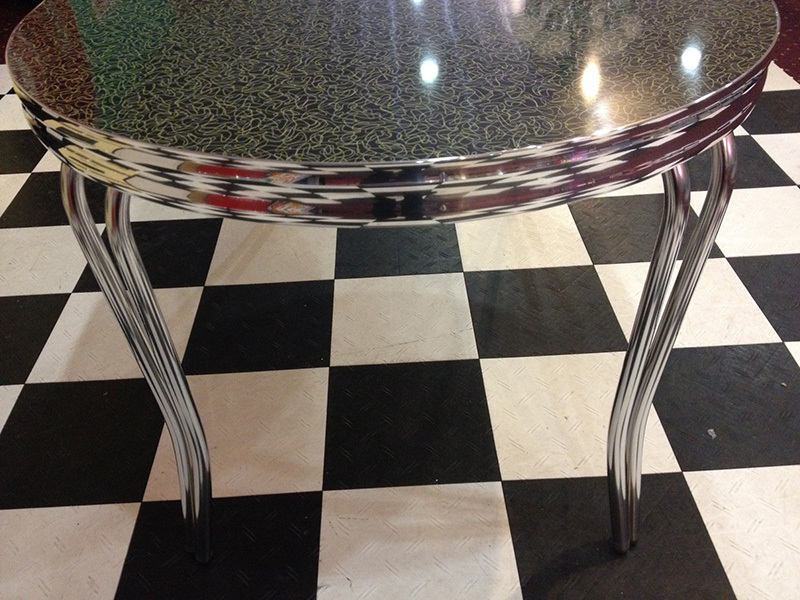 For pricing information on our retro leaf tables give us a call at 304-728-0547. 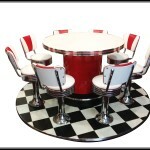 Or send us an email and one of our retro specialists will respond right away. 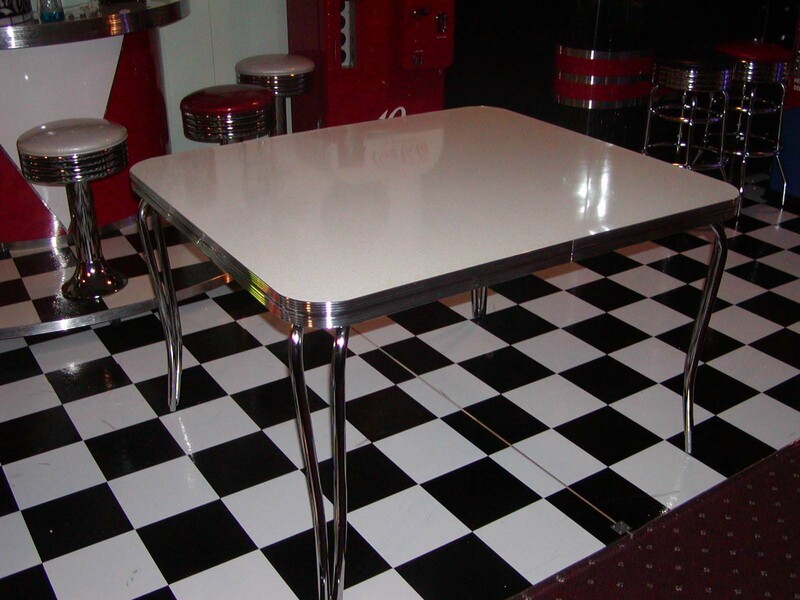 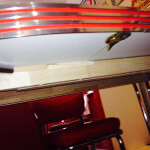 Our custom retro leaf tables can be ordered in a variety of sizes and colors. 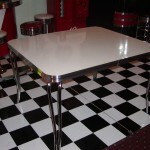 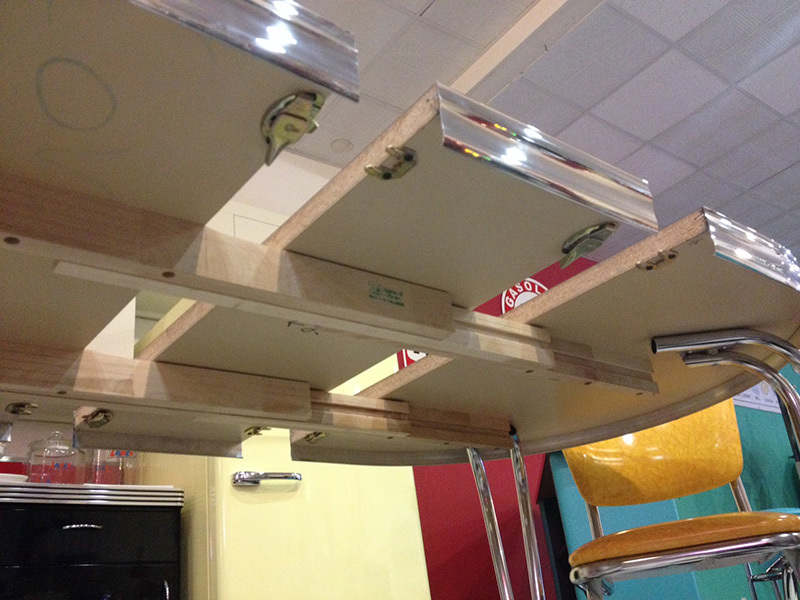 Standard table sizes are 30″x48″ or 36″x48″. 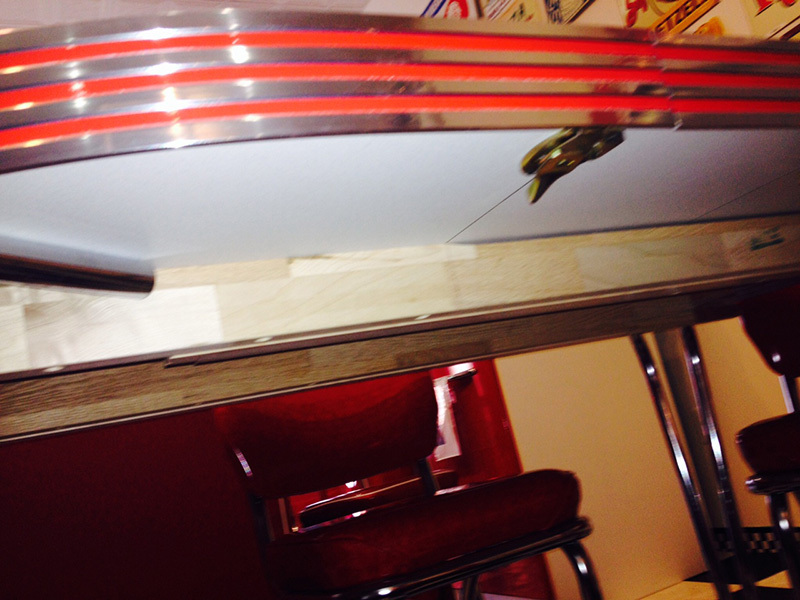 Each leaf is 12″ in width. 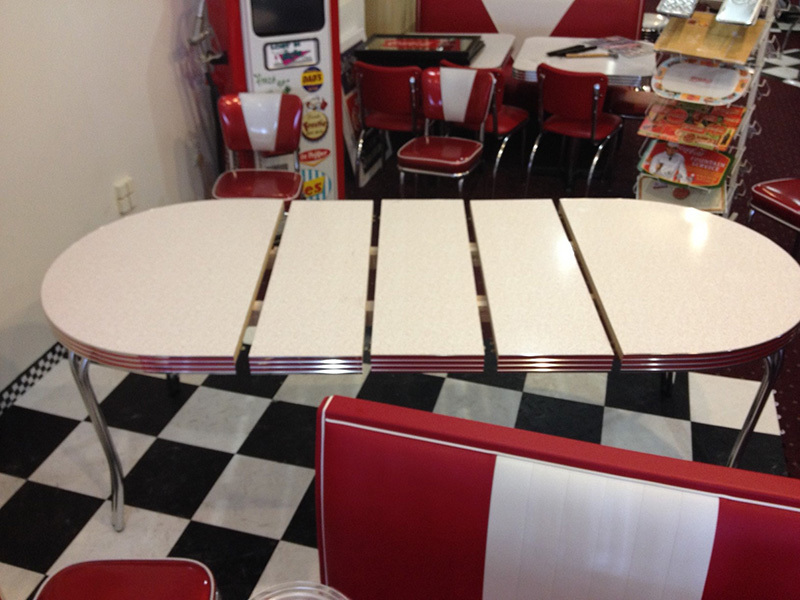 Example: A 36×48 table top can become 36x48x60x72 (or even longer if you wish a third leaf). 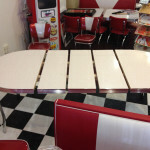 Option to increase width to 42″ is also available. 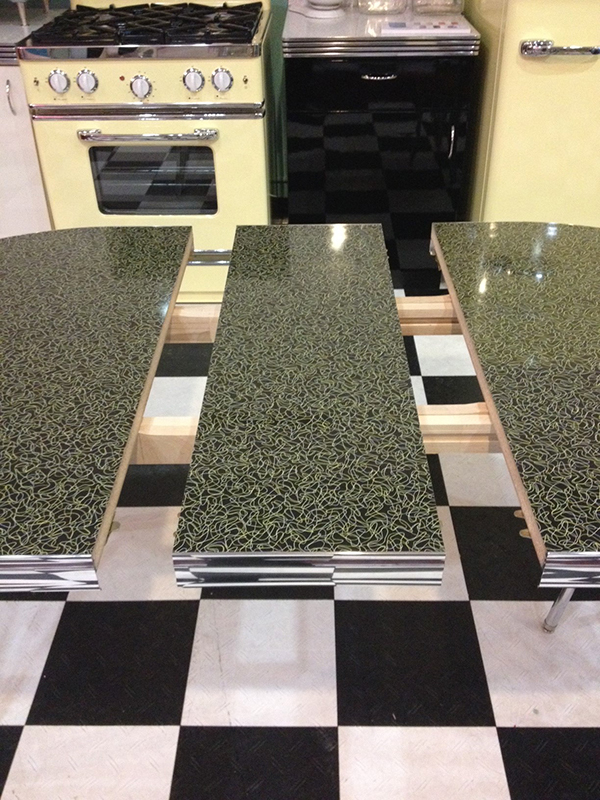 Give us a call at 304-728-0547 to place your order today!